"One thing that Bob Bradley has achieved with flying colours at LAFC is making them watchable. You rarely see a dull game, especially at Banc of California Stadium, and with RSL rocked by their hammering at DCU last time I think that there'll be more goals in this one." MLS's newest franchise continues its first season journey in New England, as Alan Koch takes his FC Cincinnati team to Gillette Stadium, surely full of confidence after they recorded a first ever MLS win, 3-0 against Portland Timbers last time. That was a significant scalp, and the signs were already there that this could be a special year. A lead taken at Seattle before they were overwhelmed, before a hard earned draw at the reigning MLS champions, Atlanta United. We can support FCC here with a goal start on the Asian Handicap, and given that they're facing an average looking New England team, I think that we should jump at the chance. Brad Friedel's side are yet to win this season, and have looked a little drab and predictable in their opening three games, losing two of them, including here against Columbus in Week Two. The malaise goes back a little further than that, with only four teams picking up fewer points per game that the Revs since the start of last season, and they look vulnerable to a team that will come and play with a bit of verve and style. When faced with firepower, I'm never sure that New England have much in response. FCC are a team to follow. 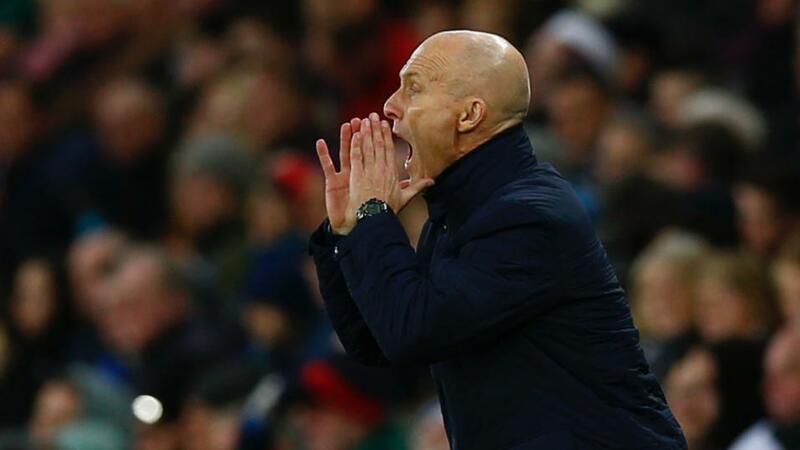 One thing that Bob Bradley has achieved with flying colours at LAFC is making them watchable. You rarely see a dull game, especially at Banc of California Stadium, and with RSL rocked by their hammering at DCU last time I think that there'll be more goals in this one. Mike Petke is capable of setting teams up to defend well, and normally that would be a worry, but LAFC have been so irresistible so far that I'm not too bothered by that. Bradley's team always seem confident that they'll score, and that puts a lot of pressure on the opposition to come out and play as well. Carlos Vela alone gives us cause for optimism. Last week against NYCFC he had six shots and created five chances, and those sort of fireworks are a fairly regular occurrence. He's an early season talking horse for MLS MVP and his team look certain to go close to the big one this year. It was RSL who halted their play off progress as LAFC ran out of steam last season, in a 3-2 thriller in this stadium, and Bradley and his team will want to make amends for that. They certainly should do, outscoring Petke's team 7-1 in two home meetings in that last campaign. I think that this will be a heavy win for the home team, and that of course could lead us to a bet on the Asian Handicap, but I have enough faith in Petke to think that his side will at least respond to what happened in DC last week, and while I don't think it will be enough to get anything out of the game, that still makes over 3.5 goals the safer bet. I think there'll also be goals at Red Bull Arena, as the home team look to put their CCL elimination behind them as they face Orlando City. The visitors snapped their 14 game away losing streak in week 2 in Chicago, but they'll have to improve again here, and the Red Bulls will be confident of a dominant display. Chris Armas' team were poor for a half before eventually overpowering San Jose last week, but I'll forgive them that after their midweek travels, and they should be back to somewhere near their best. Orlando are certainly getting better under James O'Connor, but they still look a little open in their style of play, and while that's the way that O'Connor wants to go about things, it can be a little risky against teams like the Red Bulls, who eventually scored four in the second half last week. The Red Bulls enjoy these night matches too, outscoring their opponents 17-2 in them, and this should be an enjoyable night in New Jersey. Rather like in the LAFC game above, I favour a heavy home win, but respect the opposition enough to favour a bet on over 3.5 goals, rather than one on the Asian Handicap.